Wordless Wednesday: Could This Be A Picture Of My 2nd Great Grand Uncle And Aunt? 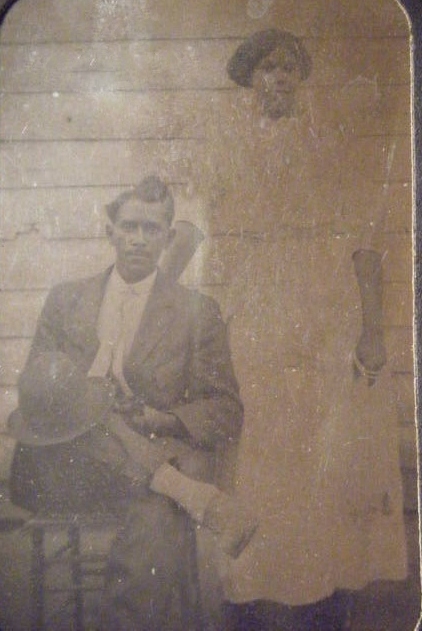 Could this be a picture of my 2nd great grand uncle and aunt? Possibly, William Henry Jones and Emma Shepard Jones. William was a brother to my 2nd great grandfather, Alexander Hamilton Jones. Recently, I connected with a cousin who so graciously shared this picture with me. She inherited a suitcase of pictures from her father and she believes that this is a picture of her grandfather's parents. It was the oldest one in her collection. Wow! A suitcase of pictures! Awesome! I know my mouth dropped open when my cousin told me about this. Wow!!! That is amazing about the suitcase of pictures. I hope you can find out who these two relatives are. I know. I hope we are able to confirm for sure that this is a photo of them for sure. I'll keep you posted.